Hard to believe, but the movie Lost in Translation was released exactly 10 years ago today. For many, it was the first in-depth look at filmmaker Sofia Coppola's work – and at the city where it's set: Tokyo. If you have a trip to Japan on your wish list – or the movie in your Netflix queue – here's a quick look at some of the film's famous locations. In the movie: This is the hotel where Charlotte and Bob stay, and much of the movie takes place. What you can do there: Even if you don't choose to stay in this luxury hotel (October rates start at $430 a night), make sure you hit up the 52nd-floor New York Bar for panoramic city views from the floor-to-ceiling windows ($23 cover charge after 8pm), or the New York Grill for Sunday morning jazz brunch ($70). In the movie: In an early scene, Charlotte is walking through Shibuya in the rain as a dinosaur crosses a giant video screen. 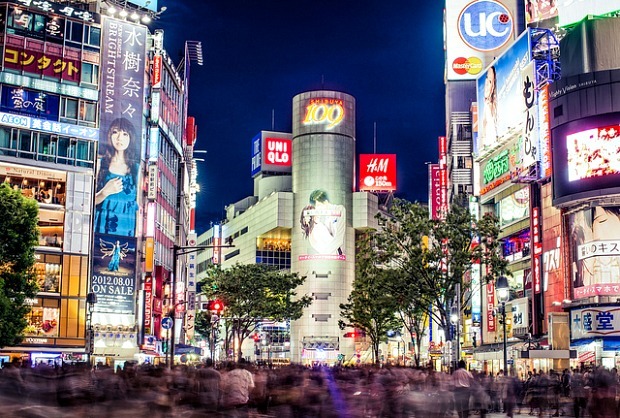 What you can do there: Experience the famous "Shibuya Scramble" at this busy junction. All the traffic lights turn red at the same time in every direction; traffic stops completely, and huge crowds of pedestrians surge into the intersection from every angle in a totally calm, orderly fashion. Go to the second-story Starbucks in the Tsutaya media store to watch from above the crowds. In the movie: Where Charlotte and Bob party with friends. 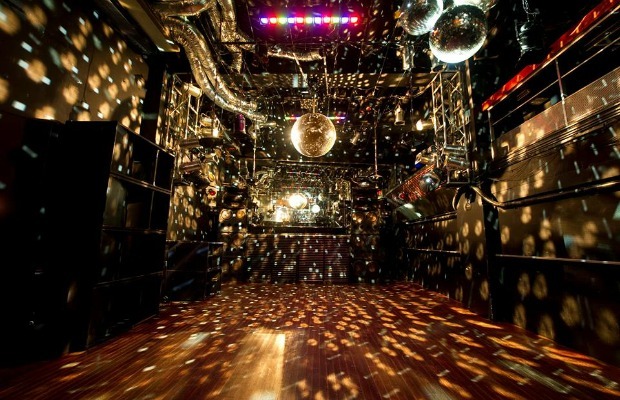 What you can do there: Unlike several of Tokyo's big nightclubs from the early aughts, Air is still going strong and attracting big-name international DJs every weekend. Cover charges are usually between $30 and $50 and include one drink. In the movie: Where Bob sings a mournful version of Roxy Music's More than This. 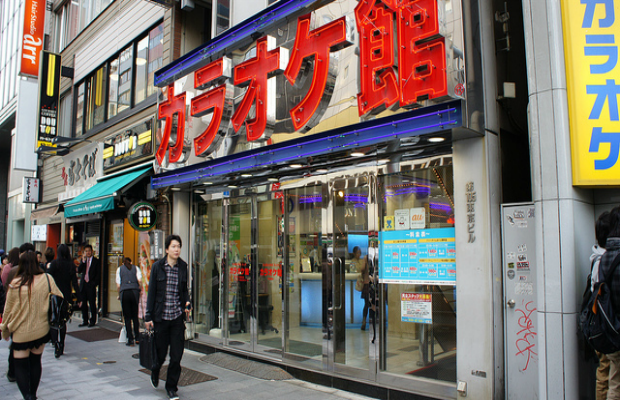 What you can do there: The Shibuya branch of the Karaoke-kan chain is just off Centre Gai, Shibuya's most famous street. Rooms 601 and 602, which offer good views, are the ones used in the film. ($10–15 per hour). 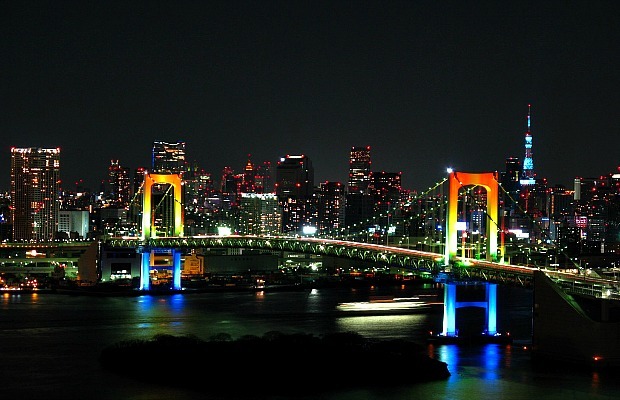 In the movie: At the end of their night out, Bob and Charlotte ride back to Shinjuku in a taxi, passing Rainbow Bridge along the way – a route that actually makes no geographical sense. What you can do there: When the pedestrian path is open, you can walk across the suspension bridge for excellent harbor views (free; takes around 30 minutes). Otherwise try to visit the Odaiba waterfront area (at the end of the bridge) after dark when the bridge and giant ferris wheel are lit up.